Amazon Mystery Wallets Contest is announced. InMystery Wallets Quiz Contest you have to do a simple task and you can win up to Rs 10 Lakh. The Mystery wallet contest is only for app users. 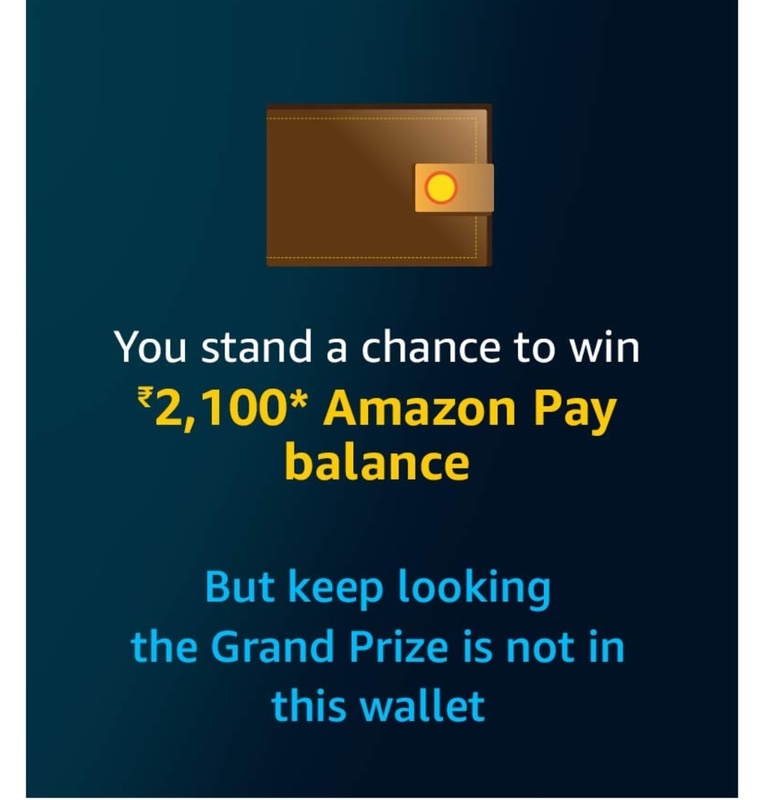 The Today Quiz Contest is organized to promote Amazon Pay (Go Cashless). The Mystery Wallets game is for 5 days and each day you will get different prize money. The total prize money is 10 Lakh INR. There will be 21 winners every day from which 1 lucky winner will get huge prize money instead of rest 20 winners. The Amazon Mystery Wallets is from 5th June to 9th June. In order to win additional prize money in this Mystery Wallets Contest, you just need to approve your KYC. Read more about the Mystery Wallets Quiz Contest. Choose any wallet. Different people will get different Result. In my case, I get grand prize in wallet 1. Now, wait. When the contest will end you will be entitled to participate in a draw of lots. Where you have to answer some questions. How To Play Amazon Mystery Wallets? It is easy to play Amazon Mystery wallets contest. 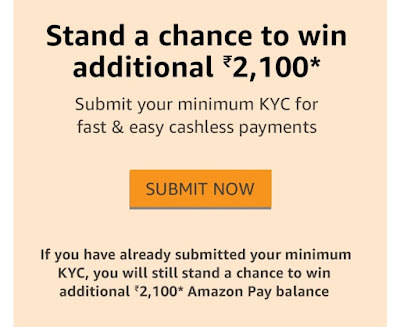 Only you have to follow some task and you can win Amazon Pay Balance. Here is the Stp by Step guide on, ‘how to play Amazon Mystery?‘. Open it and Sign in/Sign up. 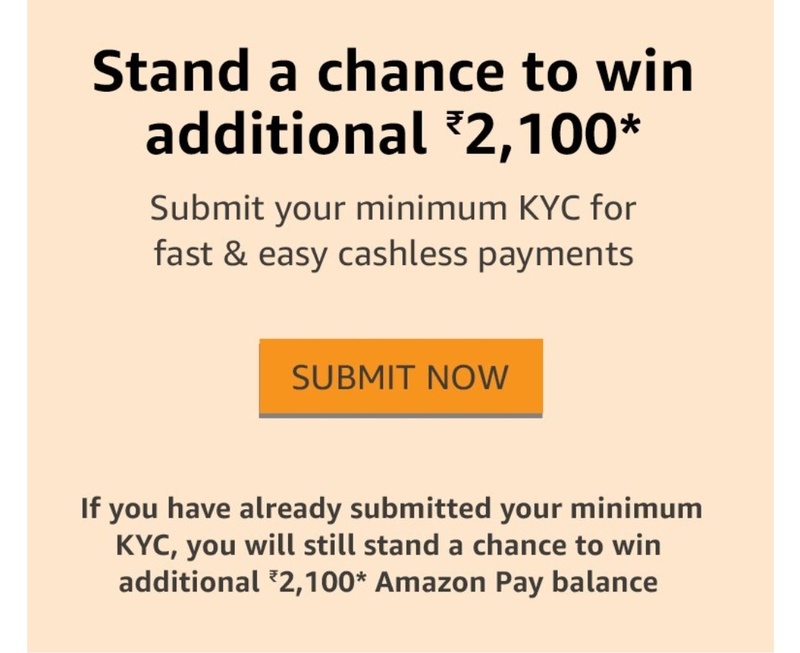 Complete your KYC to win additional prizes. Now on Amazon App, open Home and scroll down. Find Amazon Mystery Wallets and click on it. 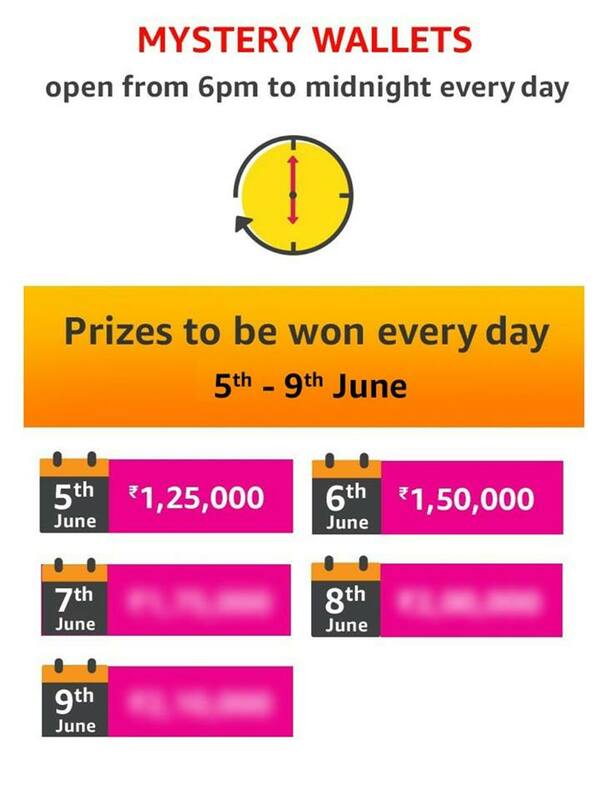 The game will start at 6:00:01 PM or 6PM on 5th June and it will end at 11:59:59 PM on 5th June. Now come online before the game starts. On the Amazon Mystery Wallets Page, you will see three (3) Wallets. Each wallet has a different mystery. One wallet out of the 3 wallets has grand prize money. While the other two (2) wallets have a consolation prize. 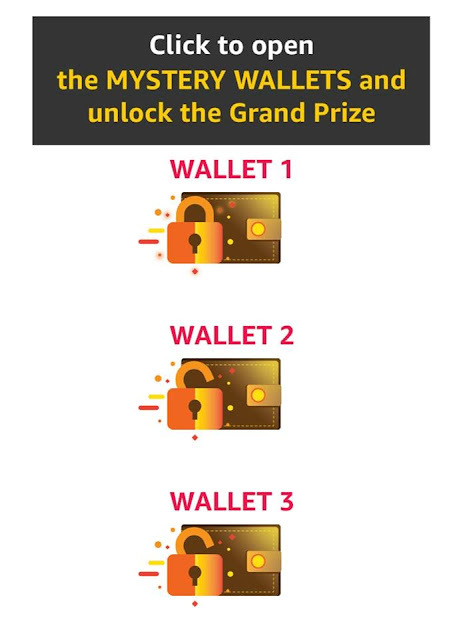 In order to play and win a prize, you just need to open 1 wallet out of 3 wallets from the Amazon Mystery wallets Contest Page. 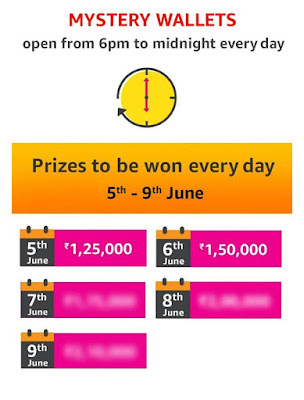 At the end of the contest period, the participants will get a chance to play Draw of lots. You will receive an email notification from Amazon with some contest question. You have to follow the instructions mentioned in that very email. You have to give all the answer correctly. There is a total of 21 winners to be selected under Amazon Mystery Wallets contest. The winner will be announced by 31st July 2018. Check Amazon Quiz Winner list. 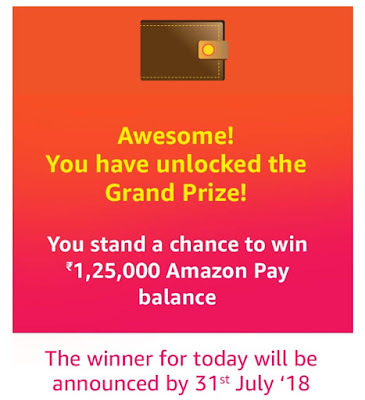 The Grand Prize money is RS- 1.25 Lakh (1,25,000 INR) Amazon Pay balance and Consolation Prize is Rs 2,100 Amazon Pay balance. Out of 21 winners, 1 winner will get grand prize and rest will get Rs 2,100 Amazon pay Balance or we can say Consolation Prize.